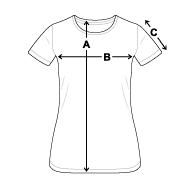 This t-shirt is finely cut for women: not too tight and not too loose, with finely cut neckline and sleeves. Created by women for women. Featuring our Eye Heart Wales Rugby design.